Great Britain the land of the many castles and fortresses, the land of historical heroes and epic battles. After you relocate to London and settle down, we suggest taking some time and go on an exploration tour. There is so much see and learn, that you can easily get confused and indecisive from where to start. We have gathered a short list of the most remarkable castles the UK has to offer in hope to inspire and provoke you. Windsor Castle is the largest inhabited castle in the world. It is located in Windsor in the English county of Berkshire and it is one of the places Queen Elizabeth II uses both as private and state residence. This enormous castle has 1,000 rooms, 300 fireplaces, a library containing around 350 000 books and around 450 clocks placed in different corners of the rooms. More than 500 people live permanently there, and the queen even has her own Windsor cricket team – the Royal Household Cricket Team. Fortunate for you some parts of the castle are opened for visitors. There are, of course, some strict rules that must be followed like no taking pictures inside the residence and you have to go through a strict security check before entering. The Dover Castle is one of the most significant defence fortresses during the medieval times. It was founded during the 11th century in Dover in the South East County of Kent, England. The castle located on the iconic White Cliffs is famous for its many secret tunnels that served many purposes during its long history. This is the place where the Dunkirk operation was planned. You can even book a guided tour through the tunnels and dive into this incredible WWII battle. The Underground Hospital is also preserved and open for visitors. The Dover Castle is the perfect place to come with your family after your London house relocation to and show your children what true British spirit and courage means. 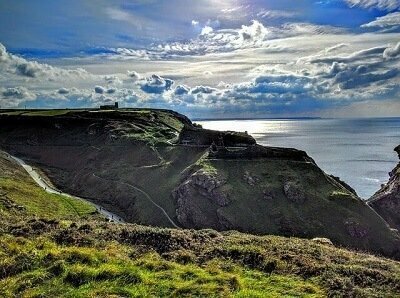 Tintagel Castle is located near the village of Tintagel, North Cornwall. This medieval fortress is believed to be the place where the legendary King Arthur was conceived, and it is the birthplace of numerous legends and tales. There is archaeological evidence that the site of the castle was inhabited when the Roman empire conquers the British islands around the 1st century AD. The fortress itself was built around the 13th century and now is one of the most visited tourist destinations in the UK. With over 200 000 visitors per year and round 3000 per day at the peak of the season, this is a “must see” castle. The predecessor of Warwick Castle was built in late 1068 by William the Conqueror and was transformed to the breathtaking castle that it is today in the 12th century. The medieval fortress is located on a bend of the River Avon in Warwickshire, England. Warwick castle is functioning as a medieval event centre with its own accommodations, games, playgrounds and even tournaments. If you want to have a break from the dullness of your time-consuming house moving, this is the place to visit. It is close to London, and you can easily get there by car. 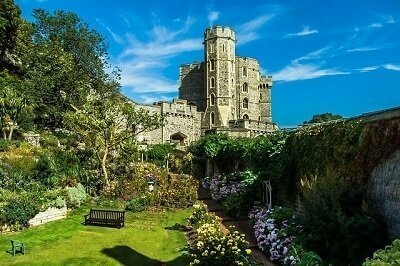 If you don’t have a lot of free time but you still want to look at some old castles why not visit the Tower of London? 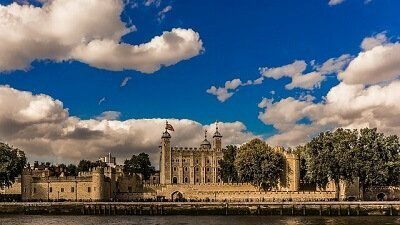 This medieval fortress is situated in the heart of the British capital, and its full, official name is Her Majesty’s Royal Palace and Fortress of the Tower of London. In 1988 this beautiful castle situated on the north bank of the River Thames in central London became part of the UNESCO list of World Heritage Sites. A popular tourist attraction you can find all sorts of amazing tales and ghost stories connected to the tower of London. You don’t like creepy stuff? Don’t worry, you can always visit the royal menagerie and learn about London’s own polar bear.